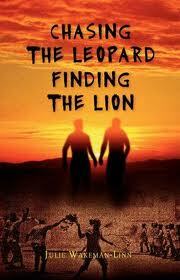 Julie Wakeman-Linn immediately plunges her readers into the chaos and violence of 1990’s Zimbabwe in Chasing the Leopard, Finding the Lion. Her clean-cut prose assembles a unique story: part buddy novel, part road story; part coming-of-age novel, part critique of Africa’s political landscape. The effect is an honest, layered composition of Zimbabwe’s political regime under Robert Mugabe and the shifting globalization of Africa told through the lens of a powerful friendship between two men. It is no surprise, then, that her novel was a finalist for Barbara Kingsolver’s Bellwether Prize Literature for Social Change. And it is different. The protest gives Isaac notoriety, and brings him to the attention of the government. Both young men’s lives are disrupted, though, when Mugabe’s men try to take over the family farm. In a daring plot to protect Isaac, the boys escape to Zambia, unearthing a number of dramas, affairs, threats, and struggles along the way. Women enter both men’s lives, bringing unforeseen changes and complications. There is Elise, a European beauty who is a guest at the lodge where Brett works in the opening of the novel. She instantly attracts Brett’s attention, and it’s to her home in Zambia that Brett and Isaac decide to head to when they need to escape Zimbabwe, because she has powerful international connections and might be of help in protecting Isaac. Once entering Zambia, they meet a young woman named Lillian, who convinces Isaac to stay with her and her mechanic uncle, David, much to Brett’s dismay. What first appears as a rift between the brothers about their respective women companions soon reveals to be much greater than that; the men are growing up, evolving separate needs away from each other, and forming possible new futures in this foreign place of Zambia. The novel is fast-paced from beginning to end, and it is easy to get sucked into the descriptive landscape of Zimbabwe, and to root for the brothers. But Wakeman-Linn, though differentiating Isaac and Brett in her qualitative descriptions of each, fails to distinguish each man’s voice from one another. From one vantage point, this failure could be interpreted as symbolizing the sameness in Brett and Isaac (and therefore, the sameness across racial lines, and broader still, across humanity), but it can also read as narrative weakness. During Brett and Isaac’s separation in Zambia, it would have strengthened this pivotal narrative moment for Wakeman-Linn to create more clearly articulated voices for each character. Morality and ethics are constantly at play within the novel as Wakeman-Linn poses deep philosophical and ethical questions through the voices of naïve Brett and passionate Isaac. Wakeman-Linn shows us a Zimbabwe that we may not immediately remember - when Mugabe was first in power, when blacks and whites worked side-by-side, when tourists still entered the country freely. But in the process of the plot, this idea of Zimbabwe is threatened. In order to protect Isaac, Brett escapes with him to Zambia. When Isaac decides to stay behind with Lillian, Brett must go forward on his own to meet up with Elise. Brett quickly encounters different views on race relations, leading him to feel defensive of his birthplace and heritage (“I was born in Africa,” he thinks), because he is often left out, neither fitting in with the black Zambians or the white ex-pats. Through the character of Brett, Wakeman-Linn urges us to try and answer the question: Who is African? And the ways in which the state dictates that definition? Wakeman-Linn treads that careful line between a romantic Africa and a raw modern Africa. She is careful to distinguish between Zimbabwe (where the novel begins) and Zambia (where the novel ends), reminding us of the many differences within the culture and ways in which each country has its unique challenges and special beauties. She wanders between worlds -the remnants of a colonial past, the tourist lodges and sites, the tribal villages, and the diverse cities - reminding readers of the richness, complexity and the multiple visions that make up Africa. Courtney McDermott earned her MFA in Creative Writing at the University of Notre Dame. She has written reviews for NACADA Journal, Literary Laundry and New Pages. Currently she is an English lecturer at Tufts University.